How Big Will Your Child's Class Be? How Big Will Your Child’s Classroom Be? Despite Nevada being ranked as the highest student-to-teacher ratio in the nation classes are likely to keep rising. Sadly, this teacher is not alone. All across Nevada class sizes are getting larger. According to a report by the National Education Association, Nevada’s 26 –1 teacher ratio is already the highest in the nation followed by Arizona and Utah. The ratio is laughable to many teachers who have mentioned that they have as many as 50 kids in their classroom, not just in electives, but in critical English and math classes. This is because the ranking uses the number of licensed personnel compared to student enrollment. That means it includes school counselors and psychologists and specialized teachers with small contained classrooms or electives. Also, it averages K-3 classes which are restricted in size with grades 4-12 which are usually much larger. Surprisingly, rural districts struggle with similar student-to-teacher ratios, and often request waivers from K-3 class size restrictions. What’s even more shocking, Nevada class sizes are only likely to grow. In response to budget shortfalls caused largely by stagnant State funding and increasing costs, school districts are forced to make cuts that include increasing class sizes and reducing resources. Additionally, Nevada is the second-fastest growing state in the nation, and keeping up with this enormous rate of growth only compounds already unmanageable overcrowding. Educators and school support staff deserve pay raises and proper support, and it should not have to come at the cost of an increased workload and larger class sizes. In the private sector cost of living pay raises don’t come with increased responsibilities, so why do we expect that of teachers? Class sizes, stress levels and classroom resources have a direct result on student performance, and our teachers seem to be at their wits' end. Parents also find themselves frustrated when their children don’t receive the individual attention they need to succeed. It’s no secret that State funding directly affects class sizes. In 2015, when CCSD’s per-pupil funding from the State actually dipped, the statewide average class sizes saw an increase of seven more students per teacher. 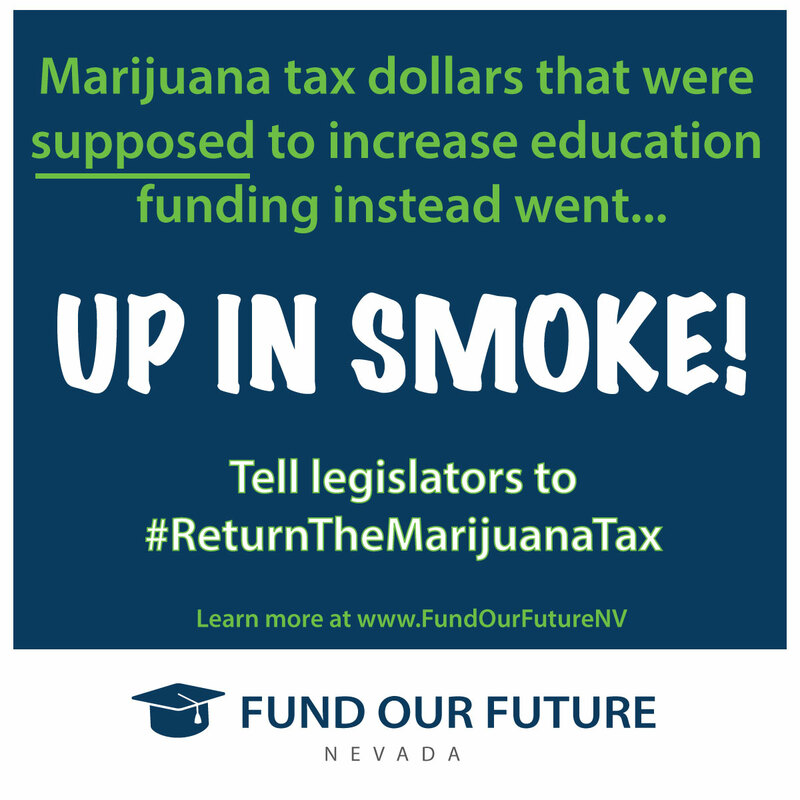 That is likely what catapulted Nevada from the seventh largest student-to-teacher ratio to the largest. Even as Nevada attempts to reign in class sizes with mandates that require size restrictions in grades K-3, it has an unintended consequence that balloons the size of classrooms in higher grades. Not to mention many schools end up requesting waivers to the class size restrictions. Too many teachers will likely be starting the upcoming school year next week with even larger classrooms and less resources than the prior school year. In a time when we have a low teacher pipeline and in a state with a high student transiency rate, it hurts our teacher recruitment and retention if we continue to increase class sizes. Parents, what are your plans to ensure your children don’t get lost in the shuffle of a large class size? School funding affects us all. As we prepare our students for the upcoming school year with new backpacks, paper, pencils and other supplies we must also prepare ourselves to advocate for them all the way to Carson City during the upcoming session. We must demand that our Legislators increase State funding for our schools. 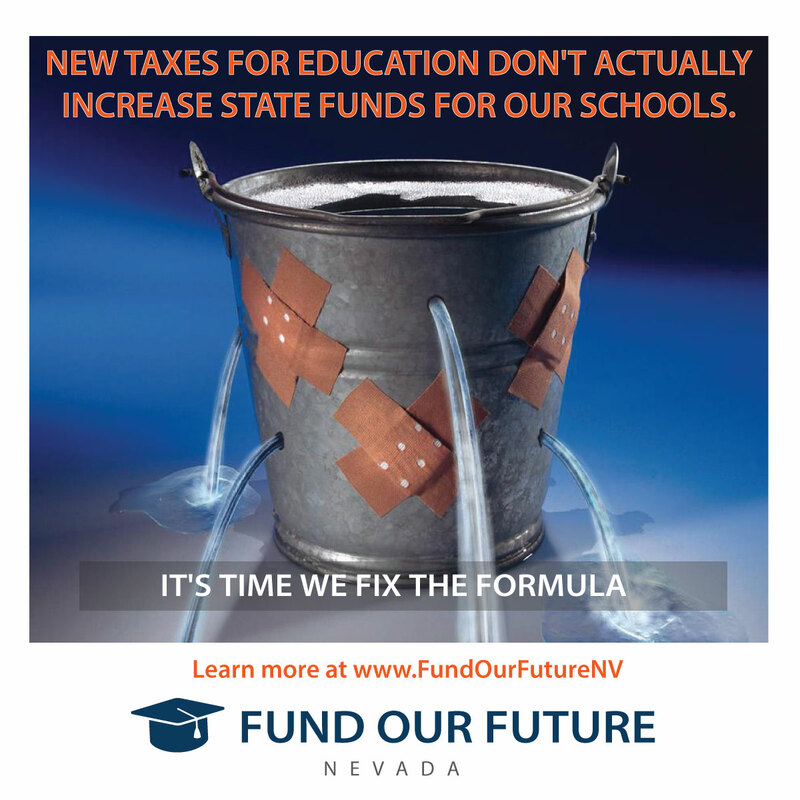 It’s time to Fund Our Future, Nevada!